Observation - Waders - Global. Description: Seen by shoreline in early August. Are these dunlin between plumages or something else? Seen by shoreline in early August. 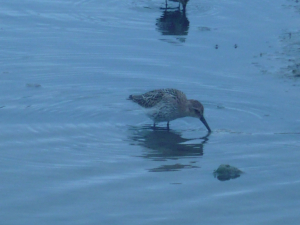 Are these dunlin between plumages or something else?